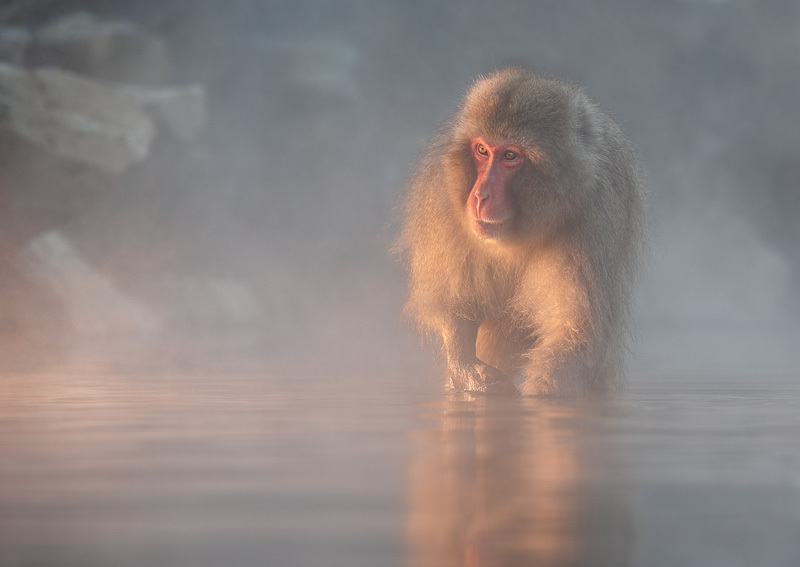 A Japanese macaque (Macaca fuscata), also known as snow monkey, is taking a bath in a natural hot spring in Japan. And no, it is not actually walking on water, but standing on a rock just below the surface. This image is part of a series of four snow monkey pictures that won me the overall title 'International Nature Photographer Of The Year' at the International Photography Awards (IPA).